ABSOLUTELY THE BEST TUTORING IN Encino… AND WE’LL PROVE IT! Make sure your academic or SAT tutor in Encino is fantastic, personal and works well with your child! Don’t take a chance and pay up front. Instead, take advantage of one FREE hour of tutoring in Encino, no strings attached! We tutor in all levels, K-12 of Math, English, History, Science, and much more. Are you looking for Tutoring in Los Angeles or Tutoring in Encino? If so, you've come to the right place. 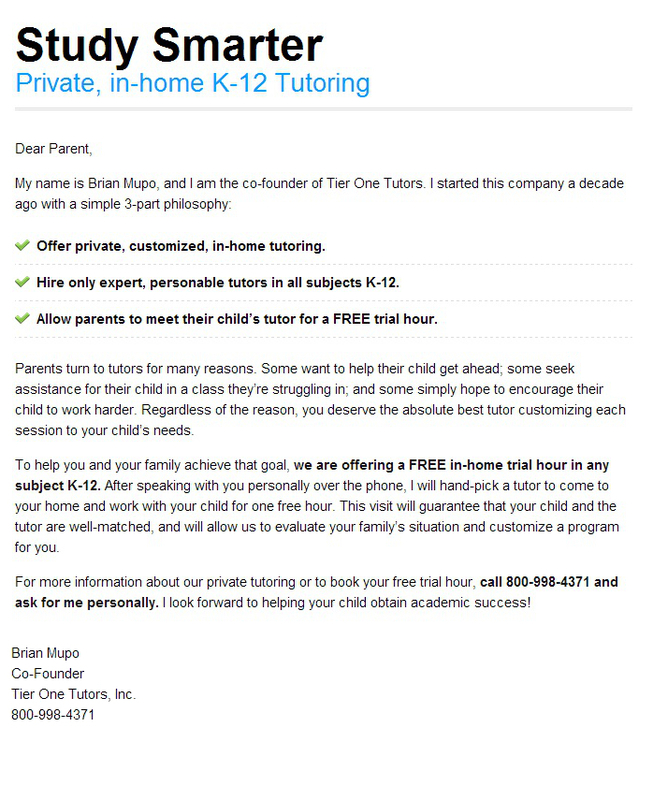 Tier One Tutors is a Encino tutoring company specializing in all subjects, K-12, as well as AP and SAT Prep. Please Note: Free hour of tutoring does not include SAT Prep. For information on SAT Tutoring in Encino, please check out our Los Angeles SAT Tutoring Information Page. Encino features a variety of historic parks and notable attractions which include picnic grounds and small museums. It houses the Sepulveda Basin Recreation Area which is a haven for sports events around the region. Encino is is located at the in center of the Southern San Fernando Valley, towards the Northern part of Santa Monica Mountains along US-101 and I-405. Among its neighbors are Reseda and Sepulveda Basin to the North, Tarzana to the West, Sherman Oaks to the East, and Bel-Air to the Southeast. Its main thoroughfare is Ventura Boulevard. After the secularization of missions in California which started in 1834, Encino was offered by the Mexican government to three Indian missions. This parcel of land, Rancho Encino, was established in 1845. Encino is a 9.5 square mile neighbourhood, composing of roughly 44,000 residents. This amounts to around 4,400 people per square mile. Generally, the entire population is dominated by Caucasians (80%). The population in Encino is generally older, with a median age skewing at 42. Encino is home to many celebrities. It is also home to around 4,000 establishments and businesses. Local economy centers on health care and social and financial services. It has eight private education institutions, two of which are high schools. The Los Encinos State Historic Park is a 4.7 acre park that preserves buildings and historic items from the rancho period of Los Encinos. The Sepulverada Basin Recreation area is provides leisure and adventure with its multiple golf courses, sports fields, biking trails, and Lake Balboa lined with about 2000 cherry trees that blossom in the spring. Previously, Encino contained the massive, thousand-year old Encino Oak Tree, until a storm felled it in 1988. A monument stands on the corner of Ventura Boulevard and Louise Avenue where the great tree once lived. Encino also holds Los Angeles’ biggest Earth Day Festival at Woodley Park.